I recently had the pleasure of spending a long weekend in Detroit. 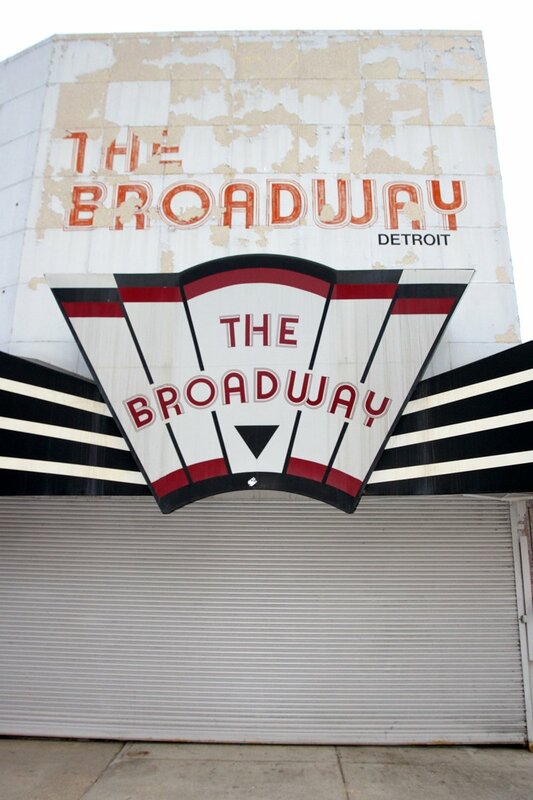 I was already familiar with it’s rich musical history, having spent most of Saturday nights in the late 90s in northern clubs listening to Detroit techno, but I was taken aback to find so many interesting examples of vintage signage around the city. It was bold colours, striking typography and neon treats aplenty. To me it often feels like the graphic heritage of towns and cities across the UK are fast being erased and becoming homogenised by careless and thoughtless shop facades. Even in the most historic towns, such as Lancaster or Harrogate, commercial properties seem to have free reign, seemingly without any guidance from the local Council, who I can't help thinking should recognise the beauty and value of traditional high streets and shop parades. 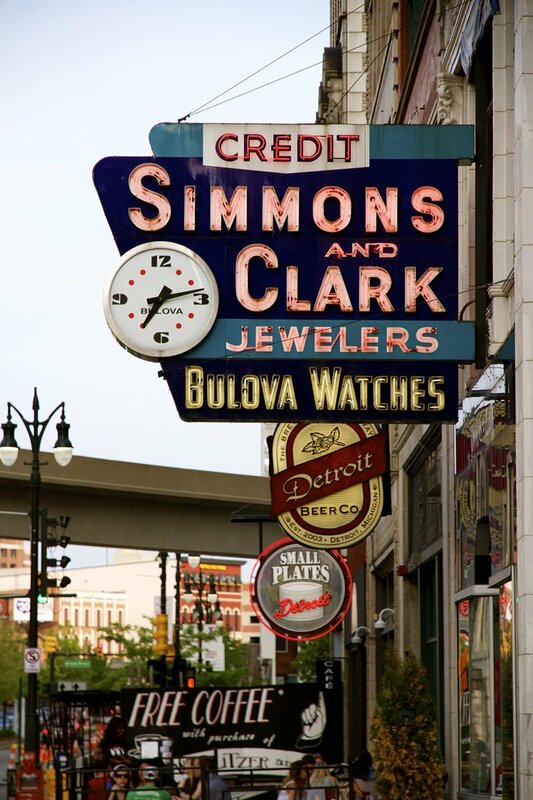 It was so freshening to see a part of Detroit’s history though the lens of its original signage and typography still remaining throughout Downtown and beyond. 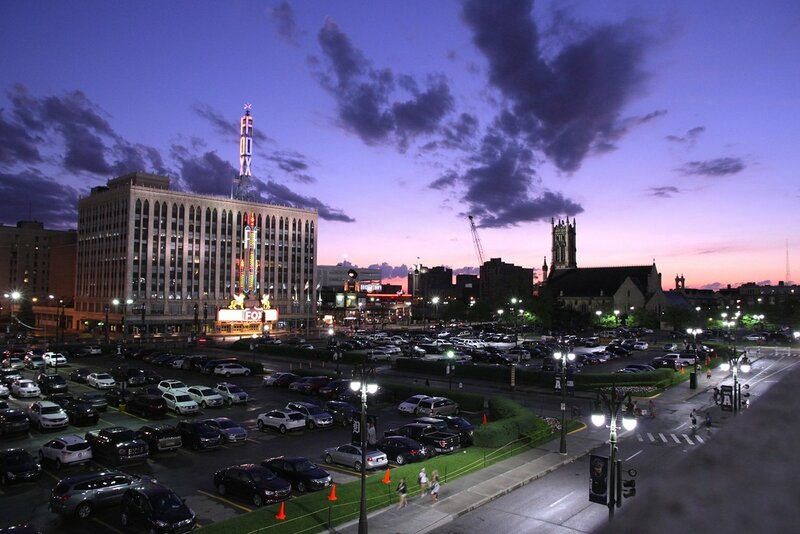 Detroit is a city that had years of economic challenges and hence lacked the expected level of corporate investment seen in city centers. Whilst I was there, it felt like that had had some benefits for the spirit of the city and must have be one of the reasons behind its fascinating and varied creative cultural offer. 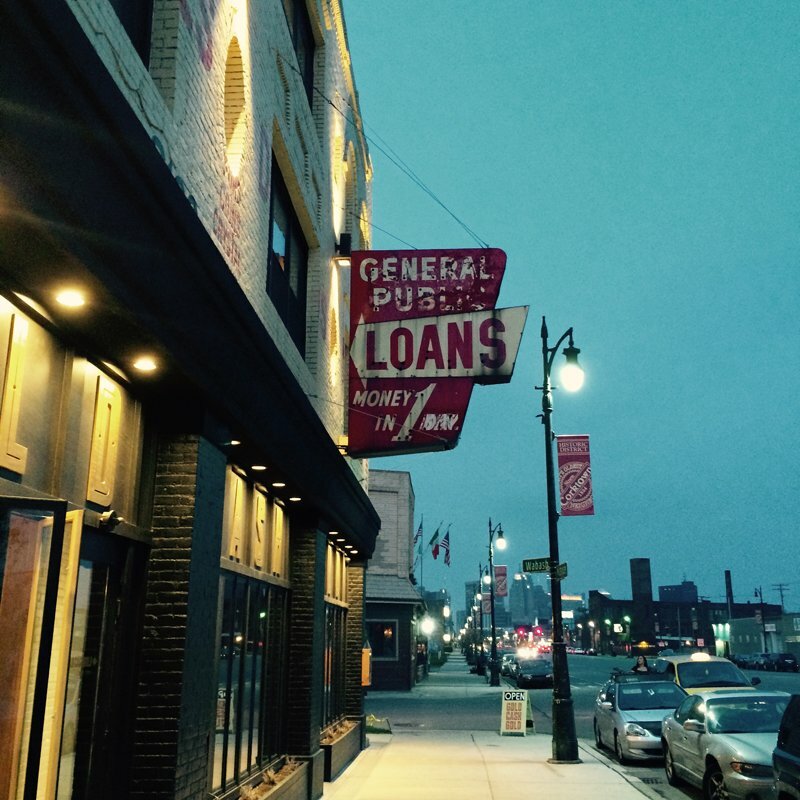 The fact that these signs remain is perhaps an unplanned positive that now adds great character to the city. Whether the city planners and new retailers value this beautiful heritage remains to be seen. 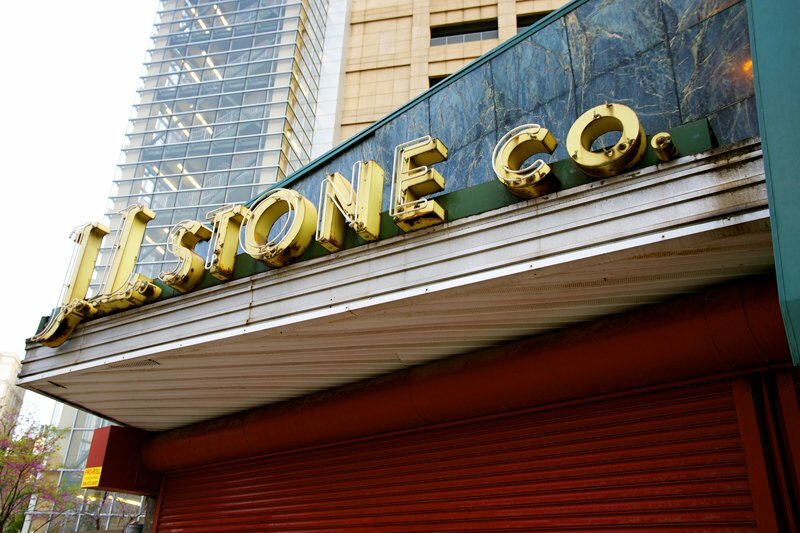 But there are some optimistic signs, with organisations like DC3 and The Library Street Collective working to integrate these visual icons of Detroit's history into new projects and ultimately preserving a vanishing art form. 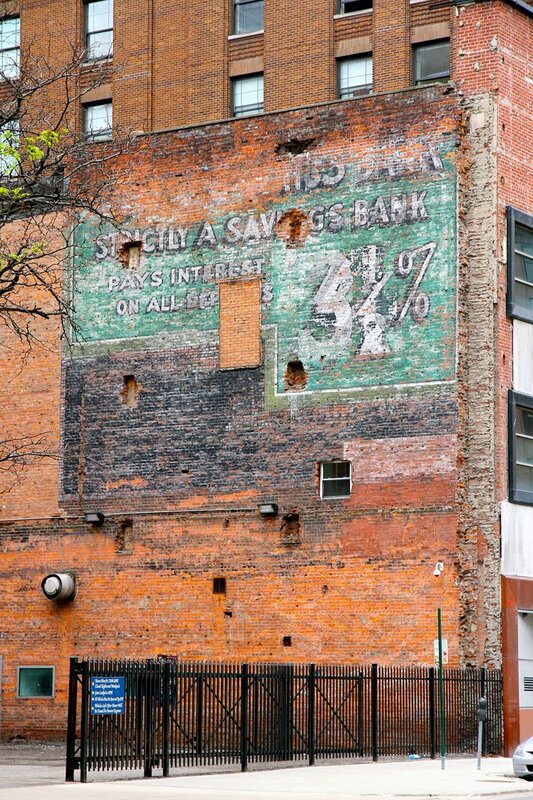 Certainly for the moment at least, parts of Detroit are a rich source of visual inspiration that should excite nerdy Designers and curious travelers alike. For me this is the jewel in Downtown’s signage crown. 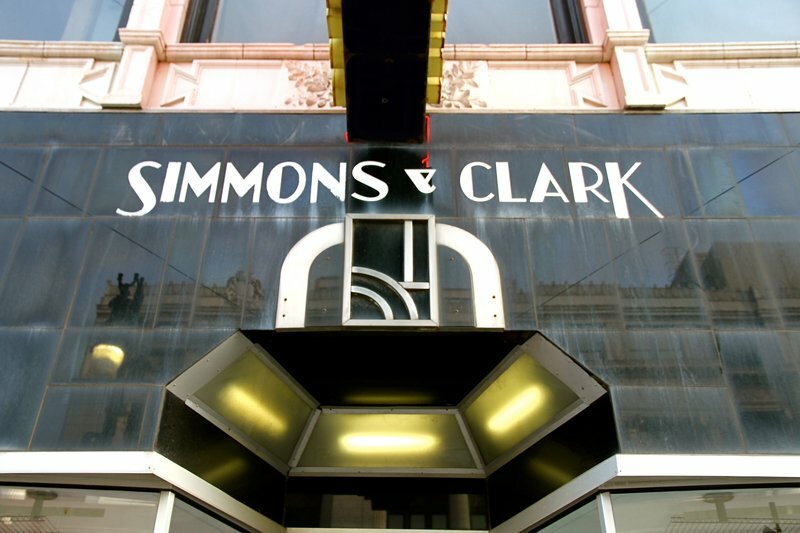 The Simon and Clark Jewellers’ sign is such a striking combination of neon, type and colour. It looks like it might have influenced it’s more recent neighbours down the road. If the stores neon sign wasn’t enough, check out the beautiful Art Deco letting above the door. It looks like it might have been created in the 1920s when the store opened. typography with a jaunty arrow thrown in for good measure. 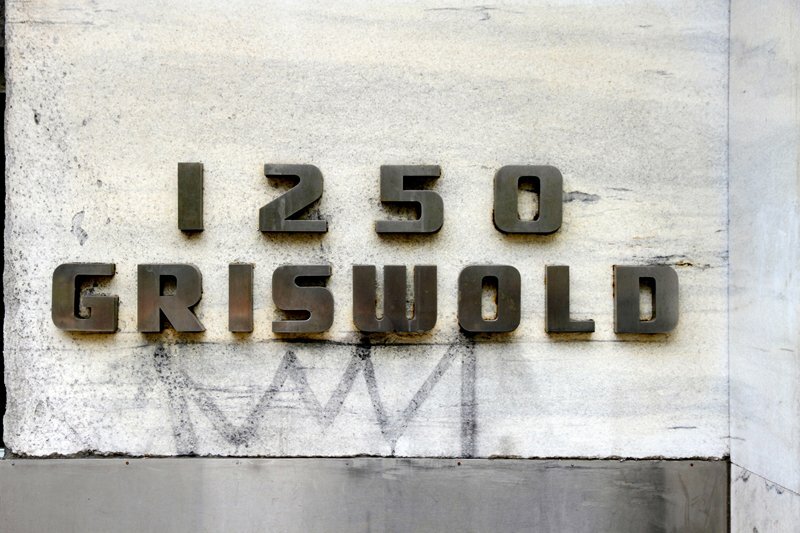 1250 Griswold. I’m not sure what this type face is, it might even be bespoke. Either way it certainly looks fresh. clothing store great stand out and serious style. 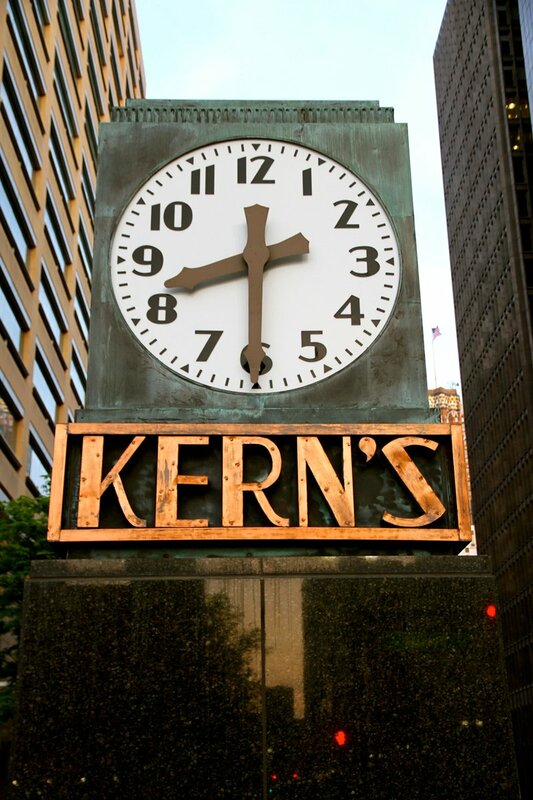 The Kern’s clock is a famous local landmark and was often used as meeting spot throughout its history. 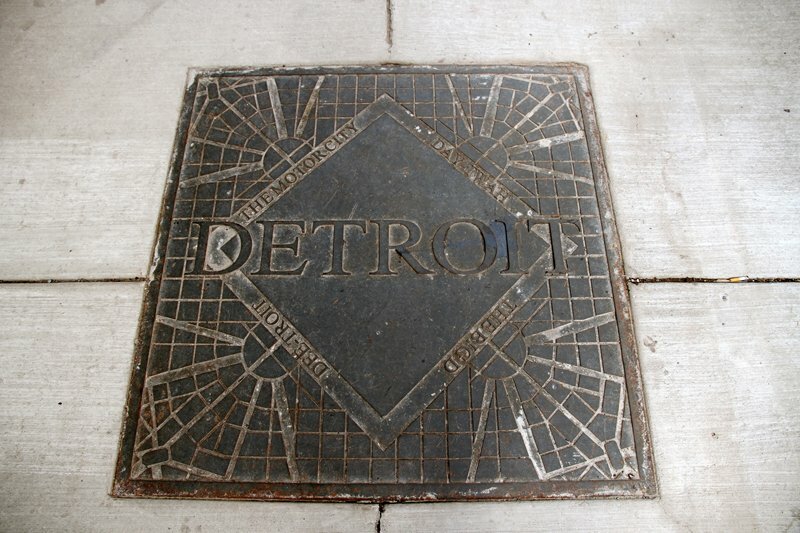 Making its debut in 1933 it now resides the on the corner of Woodward and Gratiot Avenues. The Broadway. The faded paintwork and graphic shapes make a stylish statement above this gentlemen’s clothing store. The Little Foxes. 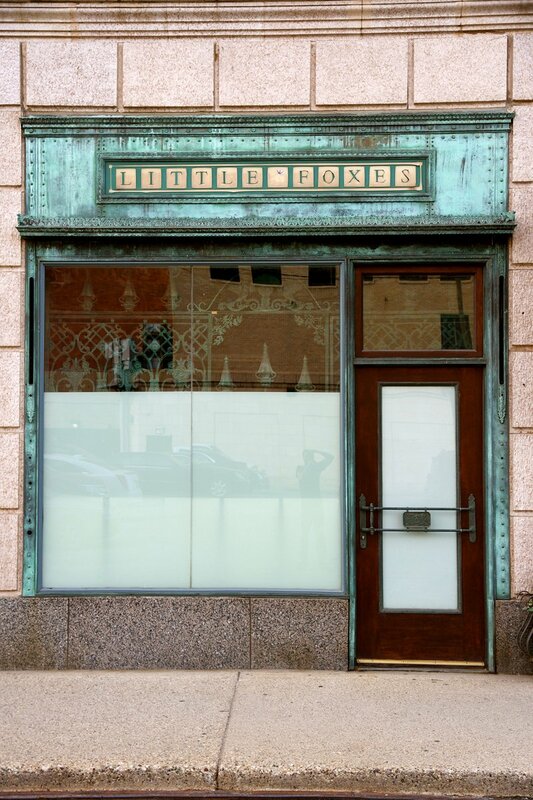 The delicate gold type work sits beautifully against the Tiffany green oxidised metal facade. This sign is pure Americana and hangs above the Gold Cash Gold restaurant. 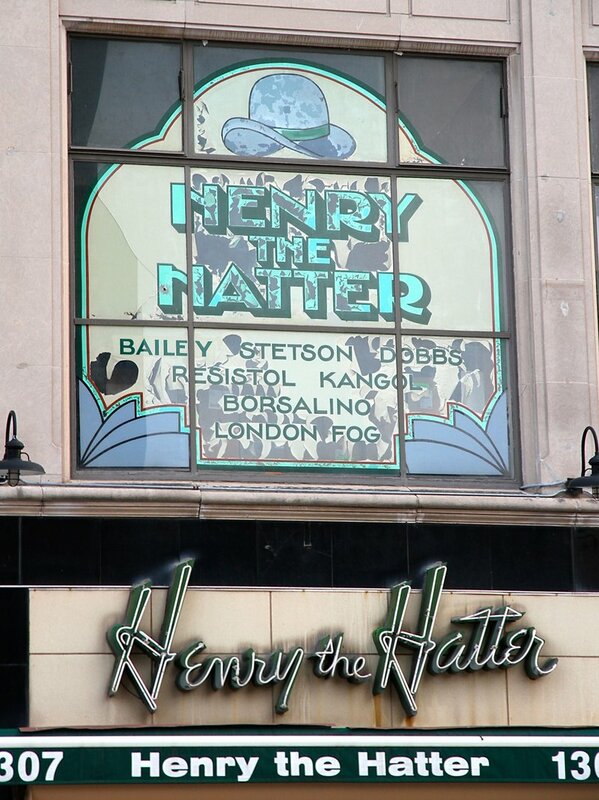 Henry the Hatter has been 'Detroit’s Exclusive Hatter’ since 1893, and the sign goes some way to illustrate the eclectic mix of hats in-store. 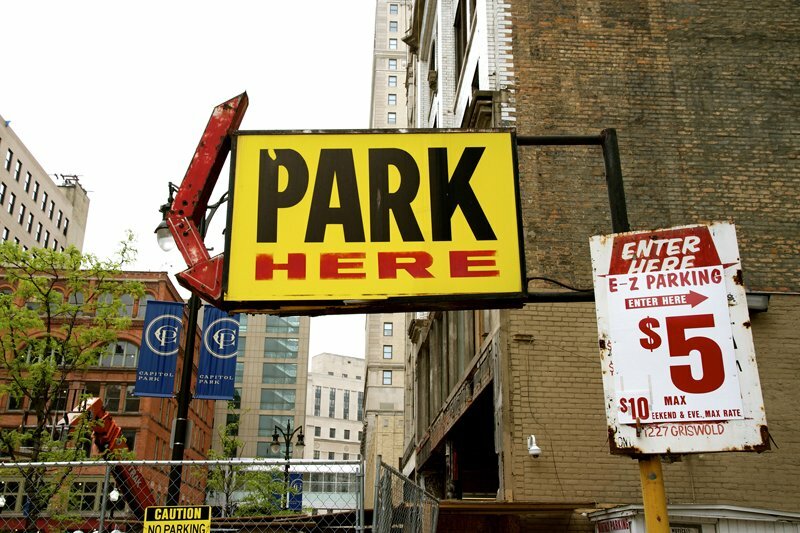 This has got to be one of the most iconic signs in Detroit. 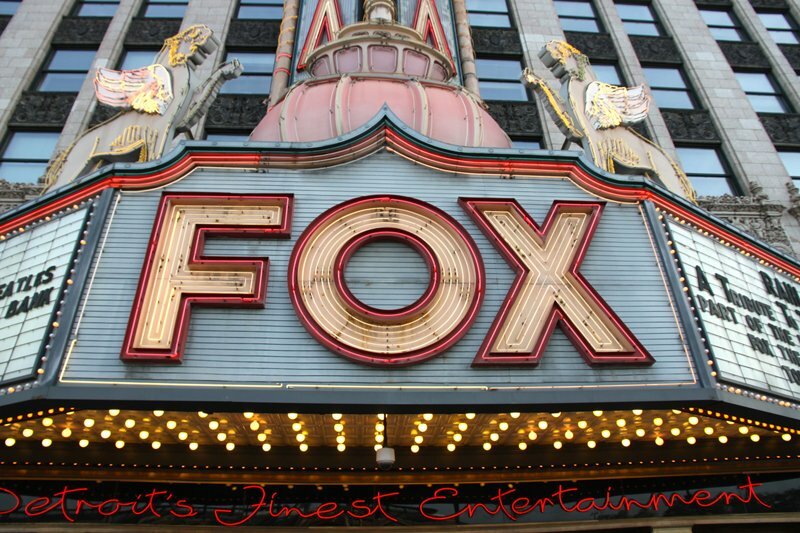 The Fox theatre is a National Historic Land mark, so I don’t think this beautiful signage is going anywhere soon. 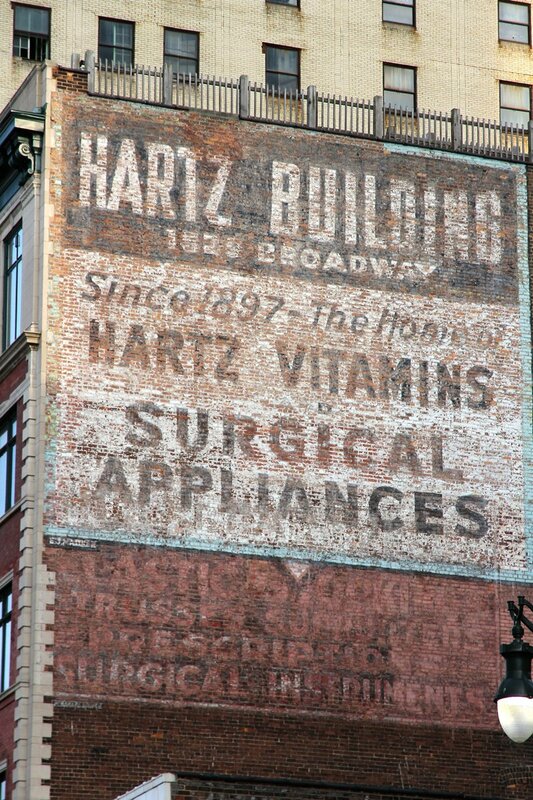 The Hartz Building. A great example of large-scale hand painted signage. 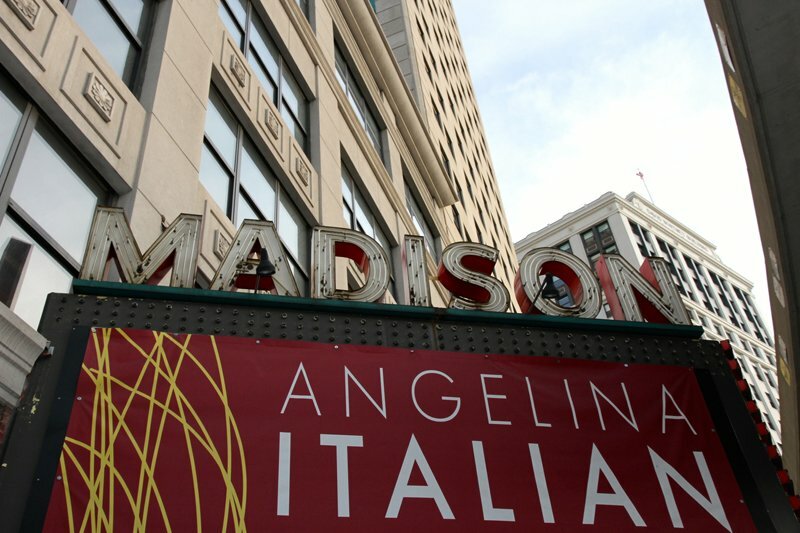 Madison Building signage sits proud above some recent signage for an Italian restaurant. This cast iron manhole cover is a work of art in its own right. 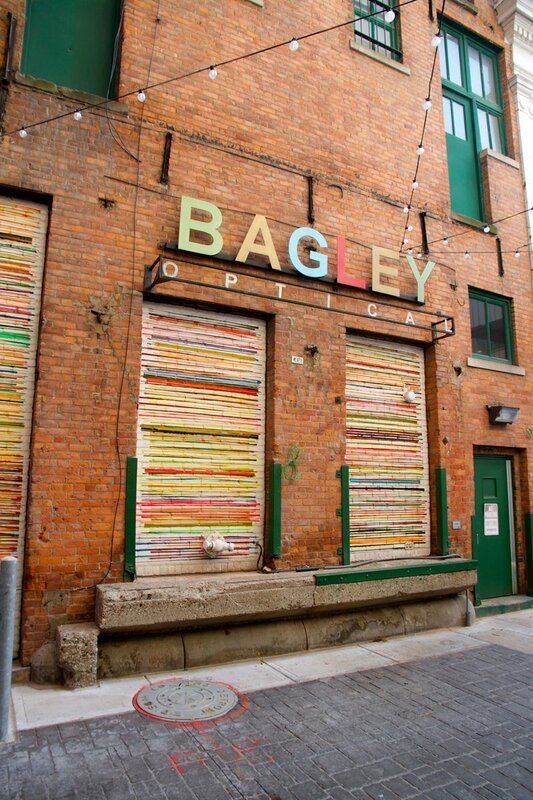 The Bagley Optical sign still remains above this empty store. Now marking the start of the recently developed art project 'The Belt'. The Fillmore theatre’s neon edged letters above the marquee come into their own when the sun sets. 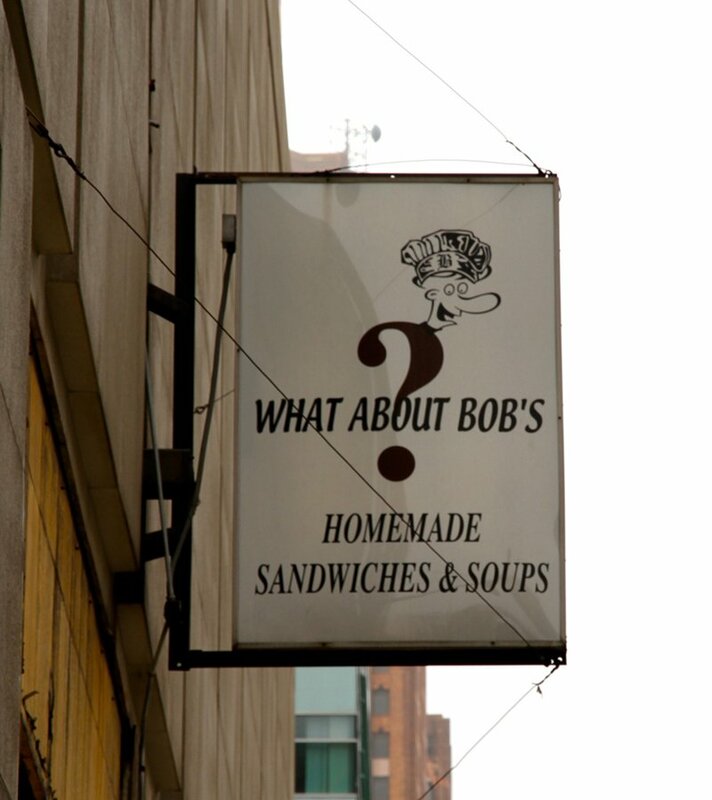 Look’s like Bob has long since gone, but this comedic sign certainly raises a smile.